There were many peace messengers who came to this earth planet in different times. Many of them were spiritual leaders and few politicians. Mandella and Ghandi were few among those who changed our political thinking on peace and stability. Obama was also unique messenger with his hope message and ability to change our planet earth. During Obama’s president, the world overcame the economic crisis and managed to survive in triumph despite terrorism and increasing radicalization. Obama left a better world. His leading role in the Paris Climate Agreement of 2015(COP21) is a remarkable achievement of 21thC. But politics changes with leadership. Due to constant conflicts and unstable political situation added to that constant drought and climate change, immigration increased and countries started to be more protective aginst those who knock their doors for shelter. Hate against those newcomers became a norm. The reaction produced became a centre of political turmoil. Nationalists and Populism started to became new faces of a xenophobic political model. And politicians started to exploit fear of economic instability and assumed power with zero programme to improve people’s life. UK left EU under the banner of BREXIT and USA elected a populist president who stands against immigrants and international agreements. Worse, on June 1, 2017, the President of the United States, President Donald Trump declared that he will withdraw from COP21. This declaration is the worst decision ever done by world leaders since the formation of United Nations. Through Trump’s declaration, USA has declared war on our planet. It is a war over future generations. If USA was guilt of its nuclear actions over Japan, this is a genocide over humanity. No worse decision can be done by the modern leader. Trump has proved his arrogance on humanity. He cared more on business interest than human interest. But there are also messengers of good when there are messengers of evil. It is the law of nature to have good and bad at the same time. The time Trump declared war on our Earth planet, another world leader named President Emmanuel Macron of France declared the message of peace and prosperity. The message delivered by President Macron is a beacon of peace and sustainable development of the world. His ascent to power has pushed back populists and xenophobia politicians back to their chamber. It opened a new hope to the liberal world. It opened a new path to new ideas that correspond to 21thC. His call to make our planet great again will encourage scientists to flock to Paris and contribute their scientific findings to shape our future planet. France and EU as a whole with a leading role of Germany technology will play a paramount role. China is the major country to be benefitted from COP21. And there is no doubt that China to become the leading superpower for the coming centuries. France is always the centre of political dynamism and house of world revolutions. Macron has double proved this trend and Paris will again play its central role as a world capital city. Personally, I supported President Macron. I found him to be the person I dreamt to be the leader. So far he proved my confidence on him and I have no doubt he will continue to be. France has renewed its old mentality. Today France is a young country. 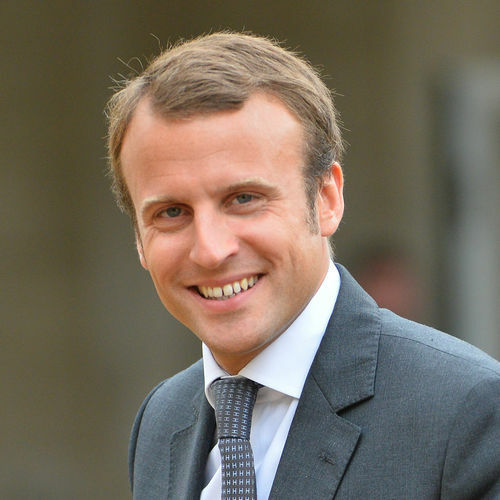 By choosing Macron, French people have proved that justice is born in France. Macron is a messenger of peace and prosperity. No one at this time has ever given the Planet hope of the the future than him.